This is a piece from the BBC about the technical flaws and basic non-functionality of 3D printed guns. The Victoria & Albert Museum should have thought about this before buying a 3D gun from Defence Distributed last September. It is a museum of art and design after all, and if an object is neither aesthetically nor functionally interesting why does it belong in the museum? 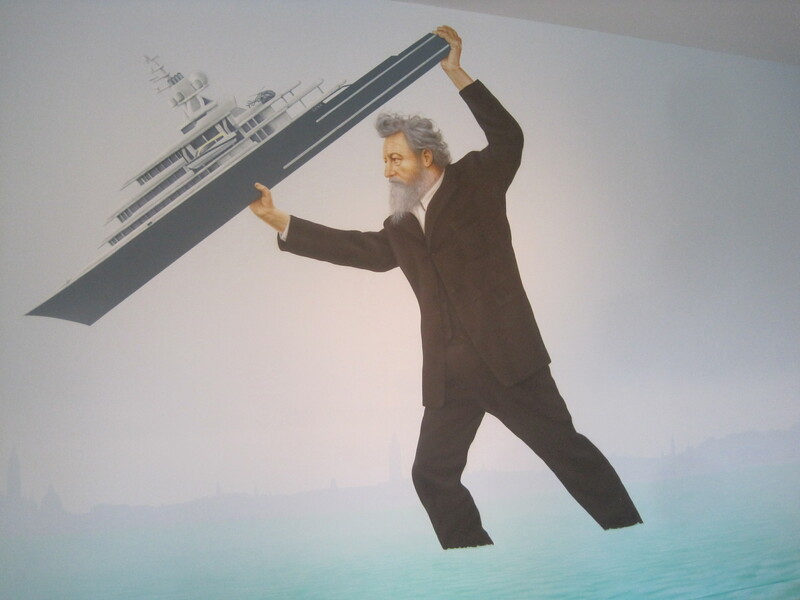 Would William Morris, the famous Victorian design reformist, do this to Roman Abramovich’s yacht? The work of Jeremy Deller seems faulty when it deviates towards a clear political polemic, as presented in ‘We sit starving amongst our gold’ and other works of English Magic. For example the portraits from the inmates of Her Majesty Prisons all depict the main actors of the 2003 controversy about the ‘sexed up’ Iraq dossier (‘You have the watches, we have the time’ 2003), and the mural of a burning St Helier in Jersey (‘I want to be invisible’ 2017) and placement Morris’ socialist tracts alongside the ephemera that accompanied the scramble for minerals after the break-up of the Soviet Union, seemed too straightforward, too adversarial. Deller’s performances, installations, and interventions strike a greater chord when they delve into the ambiguity of the carnivalesque or festival: as seen in the march in Manchester (Procession 2009); Sacrilege (2012) – a huge bouncy castle replica of Stonehenge; inviting the Melodians Steel Orchestra into the opening of this exhibition; or in the famous Battle of Orgreave (2001) where Deller initiated something that was well beyond his ability to control. His 2001 Folk Archive also celebrates the everyday acts of creativity that are hard to classify and completely ephemeral. 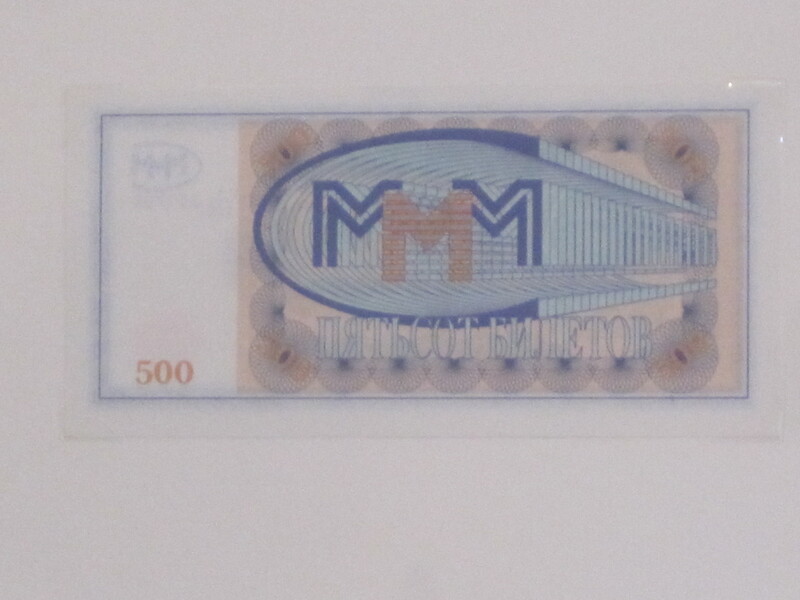 Even in the design of the fake banknotes, tokens and promisary notes used in the 1990s scramble for influence in Russia’s lucrative minerals market, we see hints of folkish play: the graphics failing spectacularly to convince in their attempt to be official and convincing. There is a danger of conflating Morris with a family-friendly, participation-heavy, open atmosphere as the William Morris Gallery exhibition of Deller’s work does. It is too similar to the general positive vibe that so often is wed to the ideas of craft, in opposition to ugly industry; or good, moral behaviour as opposed the excess and vacuousness of Abramovic. Morris’s politics (and aesthetics) more complex than that. It is a very particular type of socialism, part Marx, part Victorian, full of rich contradictions that are well worthy of teasing out more fully than done here. As a result of my moderation of last November’s conference in Oslo, Norway, Very Good, I have contributed an article to Norwegian Crafts second volume of their Documents in Contemporary Craft series. Please follow the link for details. The book will be launched in March 2014. Enjoy the Christmas period, the peace in your inbox, and good company. I will be giving a talk in Epsom about female art education in Surrey (1890-1920) on Tuesday 12th November. 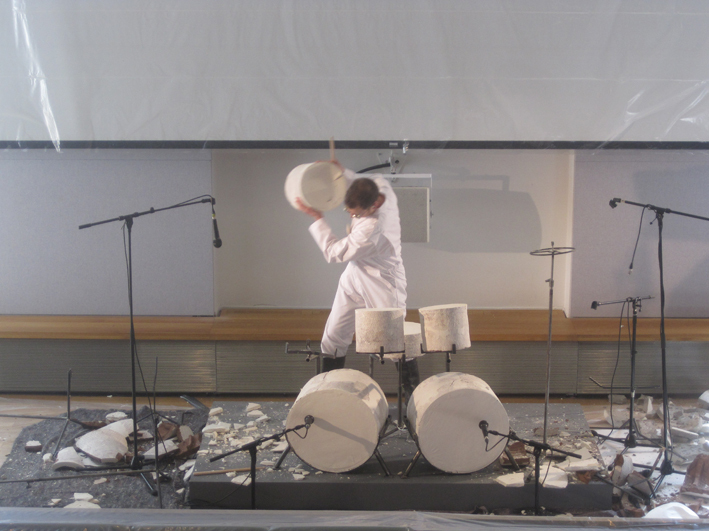 On Sunday 21st April 2013 Keith Harrison the Ceramics Resident of the V&A (from October 2012 – March 2013) gave a once-in-a-lifetime performance. Harrison had made a drum kit replica of the one Keith Moon of The Who blew up whilst performing ‘My Generation’ in 1967. Then, in homage to the rock star, he proceeded to crash about with the ceramic in front of the live audience. Watching clay crash in front of your eyes has an undeniable appeal. The Greek restauranteurs in Paris’s Latin Quarter seem to think it does the trick in attracting diners. Nothing like starting a dining experience by stepping over a pile of cracked white plates. Yet when Harrison, dressed in a lab suit, got on to the grey dais bedecked with his ceramic drum kit my heart was not beating with expectation. This was primarily because of the amount of protective gear both on the stage and on my face: the V&A’s Health and Safety executive was clearly doing overtime. Harrison started by putting on the music and stood for a while behind the drum kit, head bowed, like a scientist saying a prayer before an experiment. Then the music kicked in and he started smashing the symbols with his drum sticks and threw the drums on to the floor. A small explosion of two drums ended the performance, leaving the audience to give a mottled applause (for an edited video see here). The performance was short, undramatic, and a little juvenile. Even the material seemed to work against Harrison: this was not the wonderful high-fired glazed plate that smashes with such aplomb and brilliant sound in the aforementioned Parisian restaurants but the dull thud of biscuit fired terracotta (or the like). There is, of course, an illustrious history of artists performing rather than just making objects – from the happenings of the 1960s in New York to Rirkrit Tiranvanija turning galleries into canteens. The problem with this earnest intention to re-jig what a gallery is, stretch its possibilities, or appeal to a wider audience, can be summed up in one ungainly word: miscontextualisation. At the Harrison performance the audience sat down in rows in one of the V&A’s lecture theatres and were kitted up with goggles and safety glasses. Set-up as a passive audience waiting to watch, we were geared up to expect something dramatic or worthy of our passiveness: an entertaining film, informative lecture, or a conference-type panel discussion. You perform: we watch and judge. The problem was that Harrison’s performance was underwhelming, and this brings in a second problem to do with miscontextualisation: competition. As a music performance piece this fared badly when compared to other forms of musical performance that we encounter in our lives: the live concerts, virtuosity at classical music halls, and various spectacle that are ever-present. Why spend time watching drum performances in a gallery when clubs, bars, and jazz venues do it so much better. 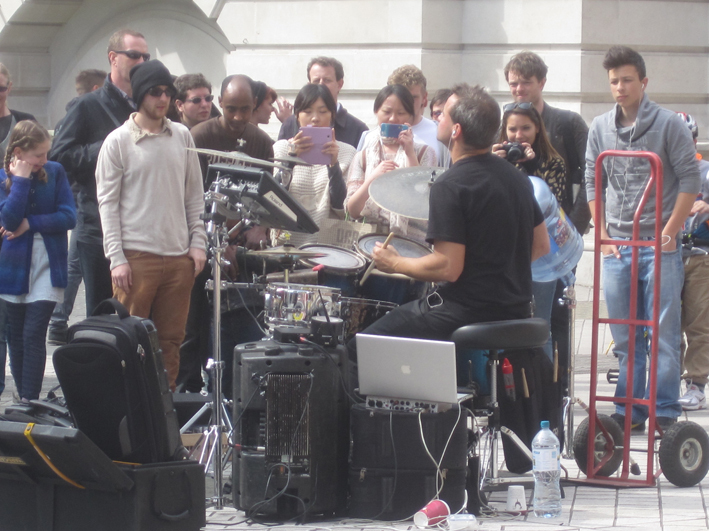 And then, as we left the V&A, as if an answer to my dissatisfaction, I witnessed an enthusiastic drummer entertaining the crowds on Exhibition Road. Instead of a network of email circulars and invitations that were sent in advance by the V&A to ensure an audience at Harrison’s Moon performance, this guy drew an audience of passers-by. They were all enthralled and he was playing loudly, as if in battle with the noise of the street. Now that is what I called a performance. He arrested individuals from their everyday. But most importantly the audiences could do what they wanted, watch how they wanted, and did not have to wear ridiculous protective gear. Bravo and encore to this man. He’s been seen south of the river too, in Brixton. Have a look at this youtube link for a taste of this man’s beats (and dancing). On 21 November Norwegian Crafts are running an international seminar on the place of craftsmanship in contemporary paradigms of making entitled ‘Very Good’.